Mahoney Nashatka Richmond, PLLC, a boutique-style family law firm located in Virginia Beach, was listed as one of the “Best Law Firms” of 2018 by U.S. News & World Report and Best Lawyers. Together, the global authority in rankings and consumer advice and legal peer-review guide selected firms based on professional excellence and persistence in positive client responses. To be eligible for the ranking, a law firm must have at least one practicing attorney who has been included in The Best Lawyers of America, a highly regarded publication that recognizes the top four percent of lawyers in the United States. Founding Partner Reeves W. Mahoney has sustained his spot on the prestigious list since 2009, while Shantell S. Nashatka and Andrew T. Richmond earned their titles for the first time this year. “We appreciate the honor of being on the “Best Law Firms” list, not only because of the stellar reputation of the two-award winning entities, but because our clients took time to rate us and how we represented them during what can often be the worst of time in their lives,” remarks Mahoney. The soon-to-be two-year-old firm was selected from more than 800,000 law firm assessments and 90,000 client evaluations. The firm will also be listed in a comprehensive, online law firm guide created by U.S. News & World Report and Best Lawyers. The digital resource will be available in early 2018 and will provide information on more than 1.3 million attorneys working in private practice across the United States. Mahoney Nashatka Richmond, PLLC offers legal support for premarital agreements, divorce, divorce with complex asset division, custody, visitation, non-parent rights and adoption. 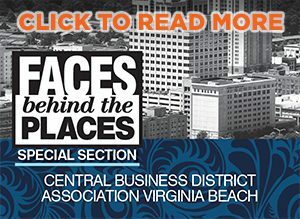 The firm is located at Virginia Beach Town Center at 4705 Columbus St., Suite 101, Virginia Beach, and online at MNR-Law.com.